Use this product with HandyAvi (or other video capture programs) to make time-lapse or motion-detect movies from internet cameras. Use a wireless IP Camera for home or office security. Create time-lapse movies from cameras that are on the internet. Use any video devce with a DirectShow driver to make time-lapse, motion-detect, meteor trail planetary or animation movies. For science, surveillance or astronomy. Built-in movie viewer, movie editor and Meade telescope control system. CCTV design software package including 3 programs: VideoCAD Starter II - advanced version of 2D/3D CCTV design tool - VideoCAD Starter, IP Camera CCTV Calculator for calculating network bandwidth and disk spaces, VideoCAD Plugin for Google SketchUp. View your IP cam on iPhone and Apple TV. The app supports all MJPEG, JPEG or H.264 cameras. Audio is supported for H.264 cameras. Built-in camera search for thousands of IP camera models. Auto-probe cameras based on your camera model. C-MOR Video Surveillance VM is a Virtual Machine which covers all the features of the Video Surveillance Appliance C-MOR. It records a lot of IP cameras of well-known brands and supports the video standards MJPEG and JPEG. 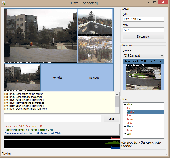 PerioS is a free software designed for creating time-lapse videos using either a USB webcam or internet camera. 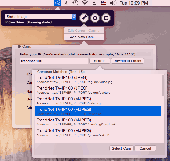 PerioS is a free software designed for creating Time-Lapse videos using either a USB webcam or internet Camera.It saves the acquired images to the specified folder. In the end,you can join the resulted images into a compressed video with adjustable frame rate (5-60 fps). Flickering is a common problem in time-lapse or stop motion footage captured using a digital still camera. Flickering is a common problem in Time-Lapse or stop motion footage captured using a digital still Camera. Frame by frame variations in lighting or in exposure lead to perceptible brightness fluctuations, or flicker. 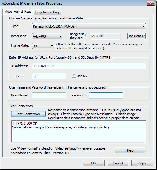 GBDeflicker is available as an Adobe Plugin or Windows Application for removing Time-Lapse flicker. Flix is an application that uses a digital camera or webcam to create time-lapse movies. Flix is an application that uses a digital Camera or webcam to create Time-Lapse movies. Still pictures are captured every few seconds, minutes or hours (whatever the user decides), then they are merged together as frames in a Time-Lapse video. Some pretty cool effects can be achieved this way. GBTimelapse is a Windows application for the capture of time-lapse sequences. VideoVelocity is a time-lapse video recording tool. GBTimelapseEOS is a Microsoft Windows application for the capture of time-lapse image sequences or for general purpose remote capture. CaptureMAX allows you to broadcast still captures from your webcam to the Internet, record video with sound and compile Time-Lapse videos. Version 2.5 marks a milestone in webcam automation technology offering features such as remote access, internet dialer, motion detection, advanced scheduling options, multiple configuration profiles and much more. CyeWeb is IP/CCTV video surveillance software with hybrid video/audio source support to IP camera (Axis, Panasonic, HikVision, Arecont.